Have you ever felt so bored that you start to shop online just for fun? You open multiple tabs of different online stores and begin to say to yourself ”Oh I need totally need that bag!” then start adding everything into your cart. It’s true — online shopping can be addicting especially with how easy and convenient it is. Imagine, just lying down on your back and being done with shopping for all your inaanaks this Christmas without stepping out of the house and getting stuck in traffic. But with the triumph of avoiding those hassle grid-lock roads and the immense number of people you have to compete with in malls — there has to be a catch right? Check if the shop is even legit. How? Check for reviews, testimonials, and other proof that people have bought from them before. Don’t just trust anything with the word store or shop written in their bio. Be careful! Someone might just be out to steal your credit information. If you’re not sure with the website, best to just stay away, or look for a physical store. Most legitimate sources accept payments from trusted third-party processors such as PayPal or can do meet ups or cash on delivery. So keep your eye out for those! Trust your gut! If it’s too cheap — doubt immediately. A brand new iPhone X for only 5,000 pesos? RED FLAG! Know the actual worth of these products and cross-check with other sellers. If the price difference is staggering, question the legitimacy of that product. That padlock beside the internet address, let that be your guide. Before you enter your credit card information, make sure the website begins with HTTPS and not HTTP, that S at the end, tells you if the information is being encrypted so that it’s protected. Just like with everything in life, don’t give everything to something you’re not even 100% sure of. Start questioning the authenticity of the website if it’s asking more than it should. Online websites typically only ask for your name, website, and contact information (besides the credit info), not your SSS, TIN or Drivers’ License ID. So be careful and keep your eyes open. Don’t use public computers like online shops. But if you have no other choice, make sure to log out, use the Incognito mode (for Chrome) or Private Browsing (for Firefox), don’t show your credit card info to anyone in the shop [don’t you dare enlarge that screen], and always ALWAYS erase the cookies and history! If you’re going to add personal data, best do it in a secure connection. Using public wifi opens the gate for hackers to get into your device, which can compromise your security if you are entering your credit card information. Better safe than to be sorry. Ready to buy that particular shade of lipstick but you’re too lazy to go get your laptop? Check the store’s app to make sure you’re using the right store. Not only is it easier, it’s much safer compared to logging in to a web store. Sure, it’s tempting to just make your password as simple as 1234 so you won’t forget but think about how easy that is to hack! Before you know it, your credit card bill will be full of fraudulent charges, you wouldn’t be able to eat until your next sweldo! If you want to avoid the outcome of number 9 on the list, make sure to double check your account and billing statements so you could easily spot any unauthorized credit usage. Immediately call your credit card company to report these changes, and request for a new card under the same account to ensure that those charges will not recur. 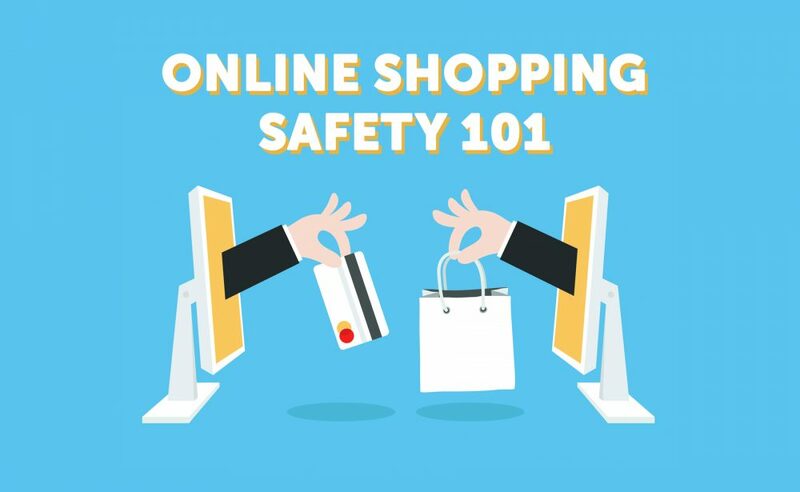 With great freedom comes great responsibilities, when shopping online, be smart and double check everything. Once you build that habit of being a smart online shopper, then you can shop to your heart’s content, at the comfort of your bedroom.